Wall Sticker of a funny pirate DJ. Are you a modern pirate? Then this removable wall sticker is for you! 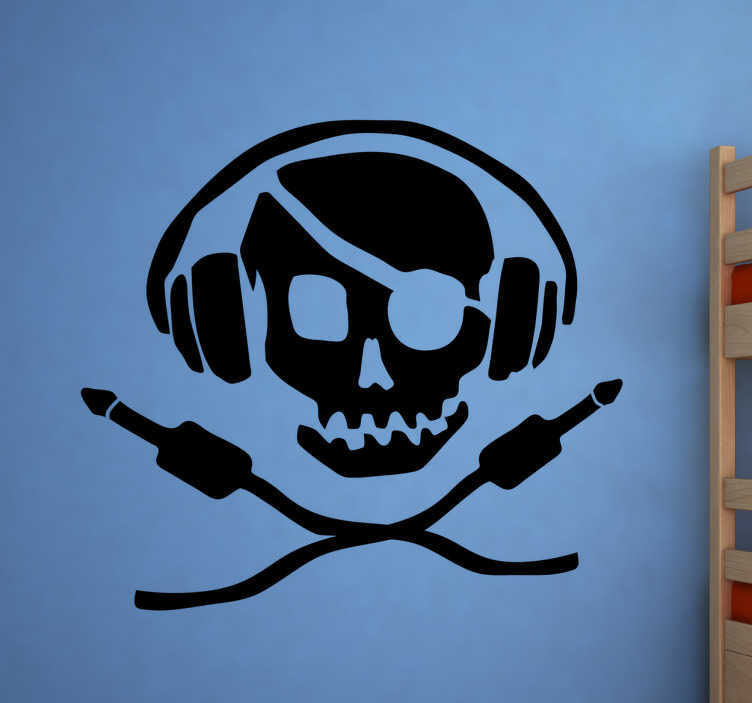 This sticker will be great in a bedroom, living room, children's room or any other room where you want to show you you're a music pirate. We use an adhesive film that is easy to apply to any flat surface and leaves no mess. This sticker is available in various sizes and colours.